Discussion in 'Archived Classifieds' started by SmokinWaffle, Feb 23, 2013. Not sure if this laptop will take faster RAM and downclock it to PC2-5300/333MHz or if it will only run PC2-5300, so I'm preferably looking for 2 X 2GB of PC2-5300 SODIMM. Let me know who much you want. 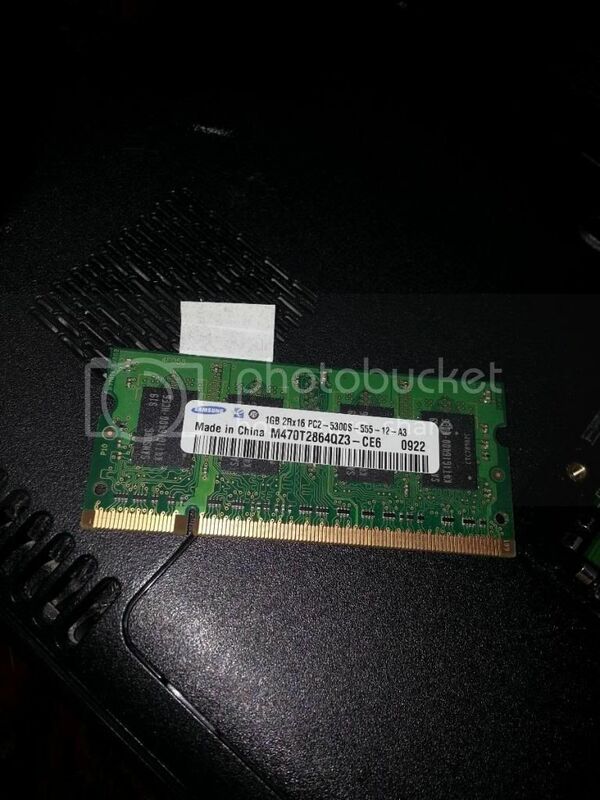 It's running Windows 7 Pro x64, so I was looking for 4GB really, especially as the GPU (8200M) takes up some of that, unless you are willing to go down quite a bit on the price as it's not an ideal solution unfortunately.